Principle objective of this lecture is to presentation on Introduction to Data Modelling. Data modeling in software engineering will be the process of developing a data model on an information system by utilizing formal data modeling strategies. 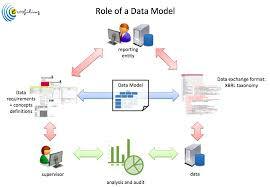 Here explain aim of Data Modelling: it is form a model of the enterprise so that the data are accurate and useful and most important step in database design. It requires a good understanding of enterprise being modeled. Finally describe bifferent methods of data modeling and Entity-Relationship (E-R) model.